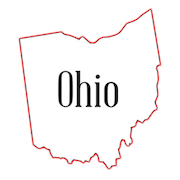 The Dementia Live® program is a three-year project (2019 - 2021) to improve the quality of care and quality of life of long-stay nursing home residents in Ohio who have dementia or dementia-related conditions. Dementia Live®, is an experiential learning program simulating cognitive and sensory impairments, giving nursing home staff a real-life experience of living with dementia. The project is limited to 140 Ohio nursing homes to help improve care to residents with dementia. Please fill out the form completely and we will reach out to you promptly.